A judge in Lincoln County rules the St. Louis Archdiocese is responsible for the alleged misconduct of one of its priests—even off church property. It’s the civil case of Father Joseph Jiang, accused of wrongdoing with a young girl in Lincoln County. Attorney Ken Chackes represents the girl’s family. “The courts say that a church is responsible for the conduct of a priest, even off property, when he is only off property but still doing the duties of the priest,” he says. 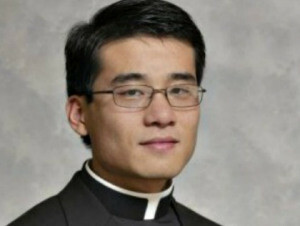 The Archdiocese had asked that the case be dismissed, arguing it could not be held responsible for the faraway conduct of one of its priests. The judge denied that request. “We argued that this priest was only allowed into the home of this family because they knew he was a priest, they trusted him as a priest, he came there as a priest, he prayed with them there as a priest, so he was still doing his priestly duties,” Chackes says. A separate criminal case against Jiang in Lincoln County has been dropped, but he still faces criminal charges in the city of St. Louis for a case involving a boy.